Over the years, we’ve cut way back on the amount of paper products we use. Everyday cloth napkins have been on my list for a while. For most people, disposable products are a big expense, and switching to reusable can save them a lot. Not so for us. The last time I bought napkins was 6 months ago. It was two packs of 180 napkins, and we still have about 120 left. So, we used 240 napkins in 6 months. That’s around 10 napkins per week. We only use one every few days (we used dish cloths, towels and wash cloths in place of paper products), but whenever we have guests over, the napkin holder is emptied quickly. In October, I paid $3.00 for 360 name brand napkins, and that’s more than I usually pay. So, at less than a penny each, it would take a long time for cloth napkins to pay for themselves. Since my son has been eating solids, we’re more likely to reach for a napkin to clean up spills if we’ve forgotten to grab a washcloth before we start. I know I could just put some wash cloths in the napkin holder, but darn it, I want them to be pretty! I had been looking for a while and I knew that napkins that fit what I was looking for weren’t going to be cheap. When I saw the napkins that Spotgirl had for sale on Etsy, I had to get them. The print was awesome. The first I had seen that I really, really liked (and I’ve been looking for a while). They are double sided. Three have dots and three have stripes. They are topstitched, so the edges stay flat with no ironing. The stitching is absolutely impeccable. The woven cotten fabric is soft, but durable. I am sure the color will start to fade and the fabric wear over time, but not like cotton flannel or other fabrics. The napkins are 12 x 12, making them the same size as a paper napkin when folded. They look great on my table! The napkins are sold in sets of three for $9.00, plus $3.00 shipping. I bought two sets, so the shipping for the second set was just $1.00. No outrageous shipping charges. The net cost for each napkin was $3.67. That’s less than two packs of napkins on sale. I wouldn’t be surprised if a family of four went through a pack of napkins every week or two if they’re accustomed to using them at every meal. For me, this was a splurge purchase (and a save the earth purchase), but I am certain they could save other families money. My daughter was really excited when she saw the colorful package in the mail! I was so excited to get these, it definitely felt like a present! 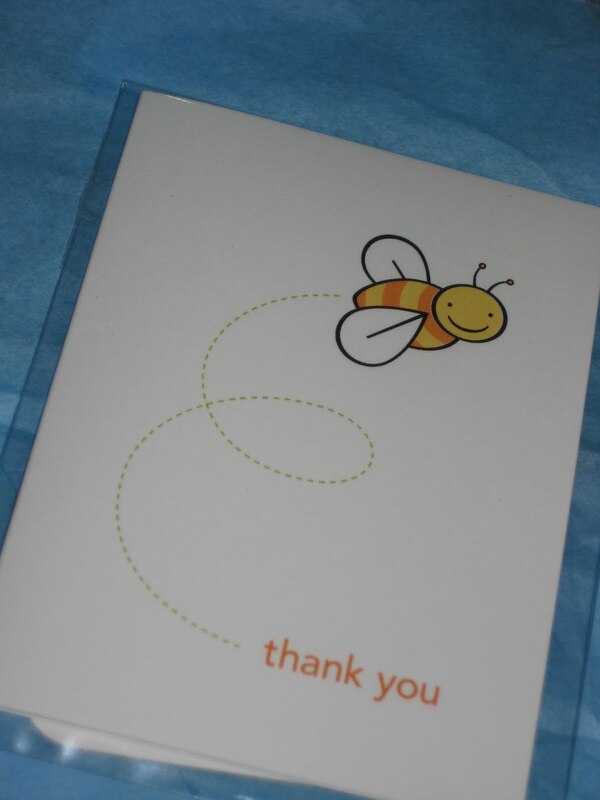 Spotgirl also has a personalized stationery store, so it was neat to get a little thank you card. But what I realized when I took it out of it’s sleeve is that it was blank inside, so I can use it as a thank you to someone else! 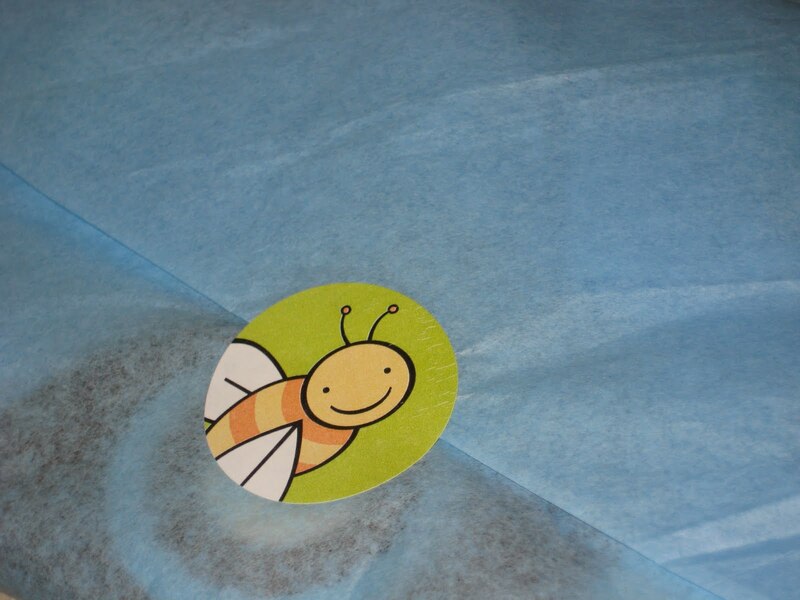 So really, it was a thank you and a sample rolled into one. Want some? Shop Spotgirl on Etsy or her stationery store spotgirl.net. 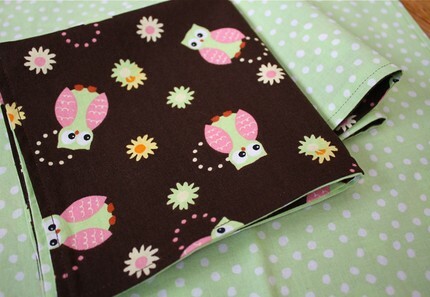 Spotgirl is offering up a set of three cloth napkins in the Little Owls print. Sweet owls on a chocolate brown background, backed with pale lime polka-dots. These napkins are 100% mom tested! We use ours every day as lunchbox napkins or snack time place mats. Ideal for lunches on the go, especially picnics at the playground. Napkins are double sided, making them extra durable. Top stitching ensures that edges stay flat – no ironing required! Cotton fabric has been pre-washed and becomes softer and softer with every use and washing. 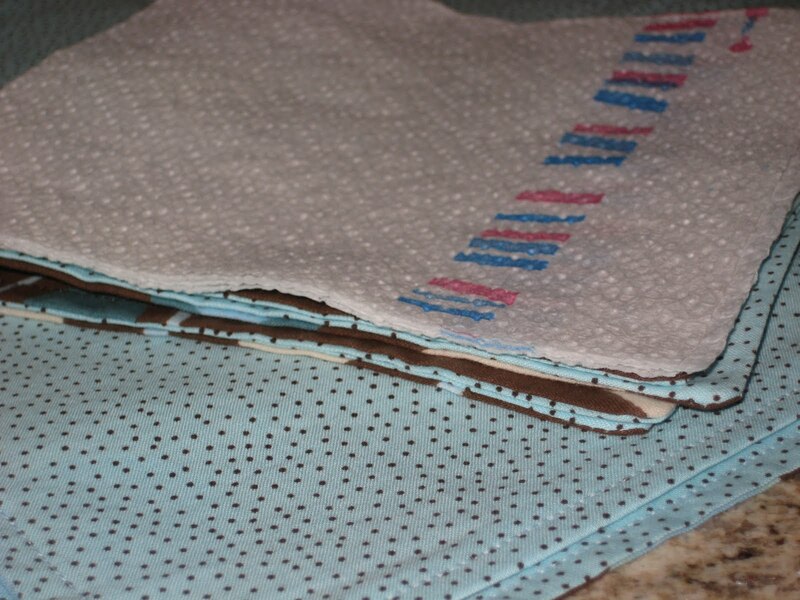 Set of three: one for lunchbox or table, one for the cupboard and one in the wash. Napkins measure 12 x 12″ square. You will feel good about using these adorable napkins over and over again. I hope you like them as much as we do! 2. Follow my blog publicly. Current followers count. Comment saying you’re a follower to get your entry. 3. Fan me on Facebook. Current fans count. Comment saying you’re a fan to get your entry. 4. Fan spotgirl on Facebook. Comment saying you’re a fan to get your entry. 5. Follow me on Twitter. Current followers count. Comment saying you’re a follower to get your entry. 7. Write a blog post about this giveaway and link to it. Post a comment with a link to your post for your entry. 8. 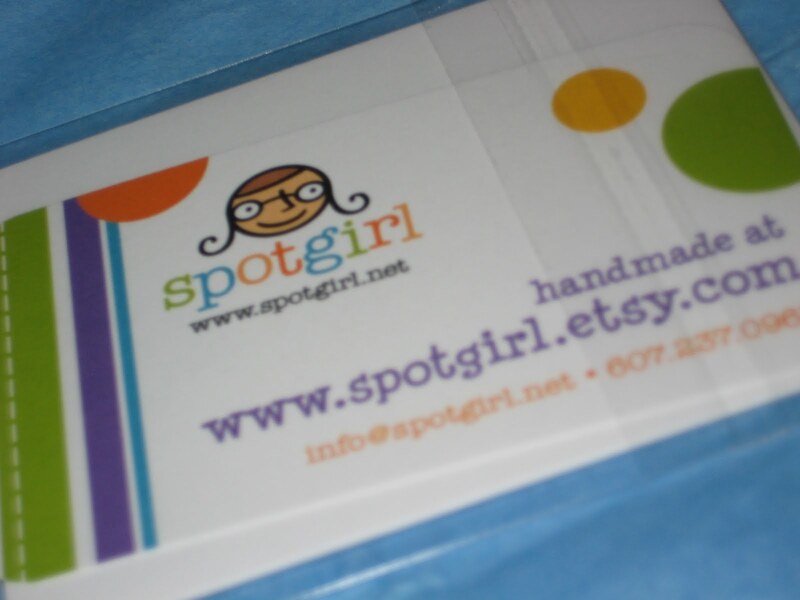 Add spotgirl as a favorite shop on etsy. Comment that you added her as a favorite to get your entry. I will accept entries until Saturday, May 1st, 2010 at 9:00 P.M.
I’ll use random.org’s true random number generator to select a winner, then notify the winner via email. 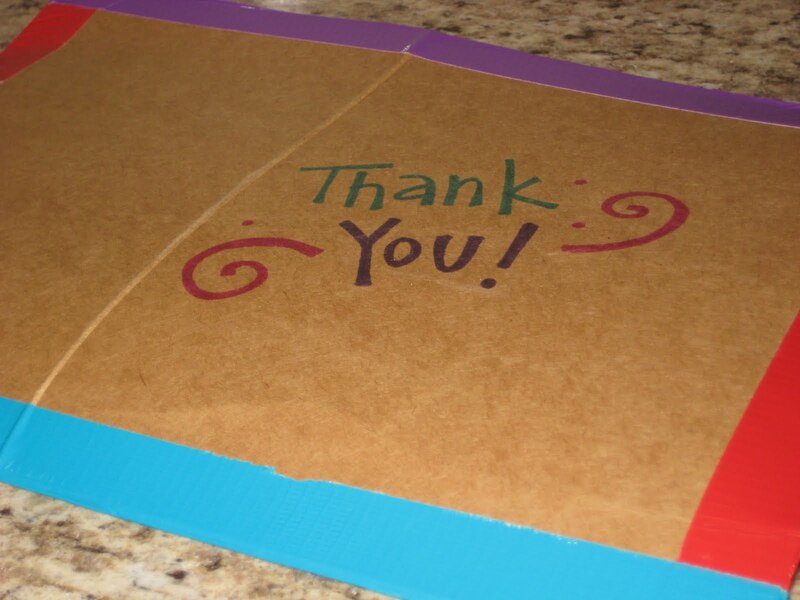 Thank you to spotgirl for providing the napkins for the giveaway! Edit August 2010: We are still using these napkins daily and love them!! >I follow you on Facebook! >OH! and I just love those patterns!!!! >and a fan of spot girl! >These are so cute! I have been wanting to switch to cloth napkins for awhile now. >We're slowly building our cloth napkin stash, and these are super cute! Thanks! >Okay, how cute are they?! >I LOVE the owls!!! Soo cute! >I am a follower of your blog. >The owl print is too cute! >I added spotgirl as a favorite shop on etsy. >Spotgirl fan on FB, too. >Two of my favorite things right now: an eco-friendly product and a cute owl print! >Added Spotgirl as a favorite on Etsy. >Wow…those are so cute, and our family is moving toward less disposable, more reusable. >I already follow you on Twitter. >I'm a fan of Spotgirl! >Already a fan on Facebook. >I follow your blog already! >I love these napkins! I love cloth napkins in general and can always use some more!! >I follow your blog. I LOVE all the things you post and giveaway! >On Saturday morning, I was running late (as usual) and my dear husband made me tea in my travel mug for me to take with me. As I was running out the door, I grabbed the mug, not realizing that he had not quite screwed the lid on super tight. Hot tea went everywhere – all over the kitchen table, all over the floor, and all over me. I immediately grabbed paper towels and started mopping it up, but then I felt really guilty. It wouldn't have taken me but two extra seconds to reach under the sink and pull out reusable dish cloths. So, the morals of my story are 1) hurrying never gets you anywhere faster (I had to clean up and then go change) and 2) always think about your options. I never thought about how much I am wasting with paper towels as napkins, but I bet I really am wasteful! !